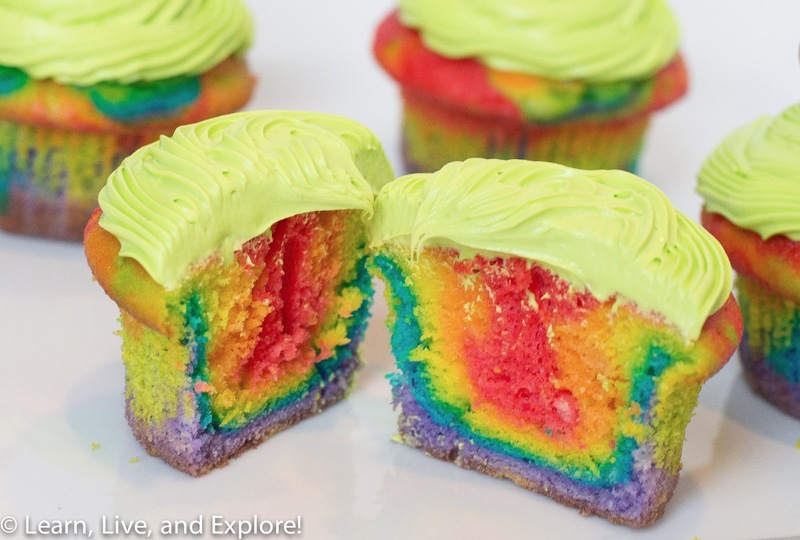 March Cupcake of the Month - Rainbow Cupcakes ~ Learn, Live, and Explore! Using a teaspoon, I layered the colors (one spoonful per color) in the cupcake pan liners, then baked the cupcakes as directed. The decorations were made using a can of whipped cream cheese frosting colored with Electric Green and pots of gold made from melted white Wilton Candy Melts, died with a black and yellow gel and piped into shapes on parchment paper, then refrigerated to harden. Make sure to make your pots of gold thick enough because they are delicate. 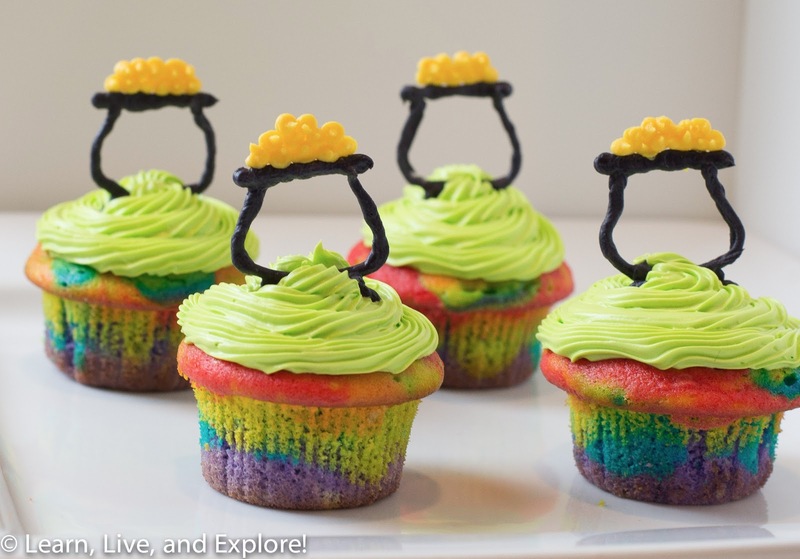 On a similar note, make extra pots of gold because inevitably there will be annoying breakage!